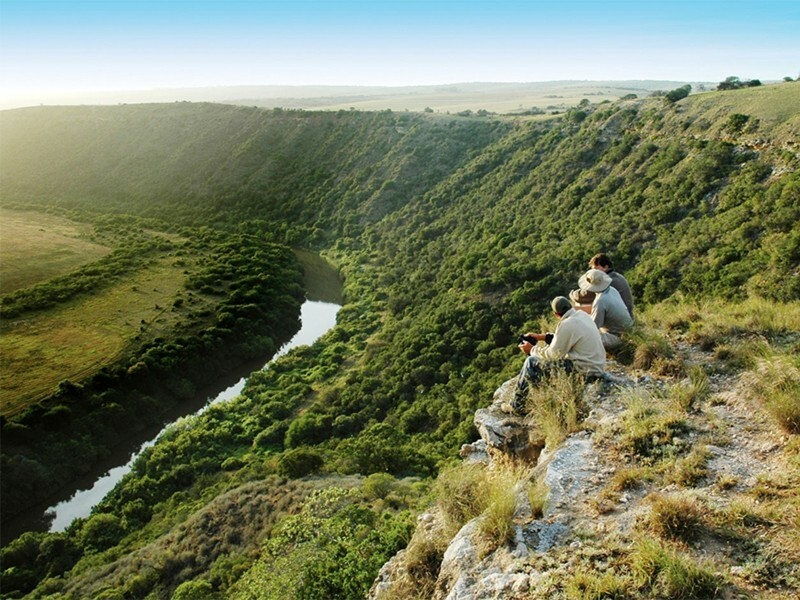 Bukela Game Lodge is a 5-star safari lodge – and a true hideaway – in Amakhala Game Reserve in the Addo area of Eastern Cape. This secluded safari destination is situated above a magnificent valley where wildlife is abundant and where there is no risk of malaria. Stay in a thatched suite or a luxury safari tent with bush-view bathroom; enjoy delicious high teas and private candlelit dinners, or dine at the fireside in the boma; and experience Amakhala’s wildlife on morning and afternoon game drives. There is also the option of a cruise on the Bushmans River or a day trip for sightseeing. There's currently no specials at Bukela Game Lodge. Conferencing and teambuilding groups of up to 28 people can be accommodated at Bukela Game Lodge.